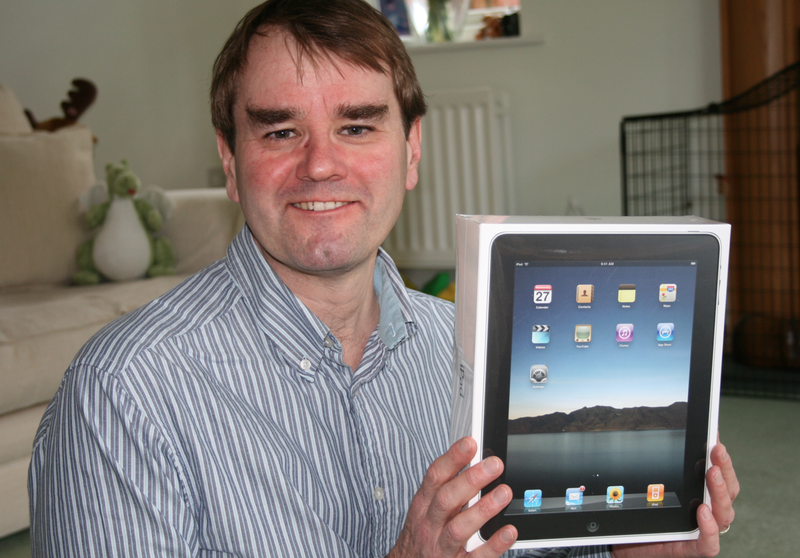 I got my iPad on 27 May 2010 – the day before it went on sale in the shops. (I had ordered it in advance.) It was love at first sight, as I explained in a blog post that evening. I went on to rave about how quickly it got me to my chosen websites. For the first time in my life, I was an early adopter. It’s been a constant companion ever since. I’ve used it to watch movies on flights to California, to blog about major events and to read books. I’ve enjoyed listening to music on Spotify’s iPad app. I’ve read the Guardian and Times iPad editions while on holiday and business abroad. But it’s showing its age. Apps crash far too often. The Daily Telegraph’s iPad app won’t open if I’ve got any other apps open. The Guardian’s iPad edition’s letters links don’t appear most of the time. In short, it’s time to upgrade. Some will argue that it’s shocking that a device less than three years old costing over £500 (I bought the 64GB model) no longer works properly. I’m more understanding. The iPad changed everything. It wasn’t the first tablet computer (far from it) but it was the first to make the tablet popular. Later models were more powerful, and apps developed to match their higher specs. I’ll keep my original iPad – but it’s time to accept that it’s no longer good enough. This entry was posted in Tech and tagged Daily Telegraph, first generation, Guardian, iPad by Rob Skinner. Bookmark the permalink. I bet there’s a younger member of your household who’s rubbing his hands with glee at the prospect of you getting a new tablet and the old one becoming ‘available’! It’s a great device although I always felt it was a bit too big and heavy. I’ve gone for the Ipad Mini. It’s a much better size and altogether much easier to live with. It makes for a spanking ebook reader too. Ist gen iPad certainly not light, TT. But I always compared it with far bigger and heavier laptop. I’d certainly consider the iPad Mini if I was commuting by public transept though.